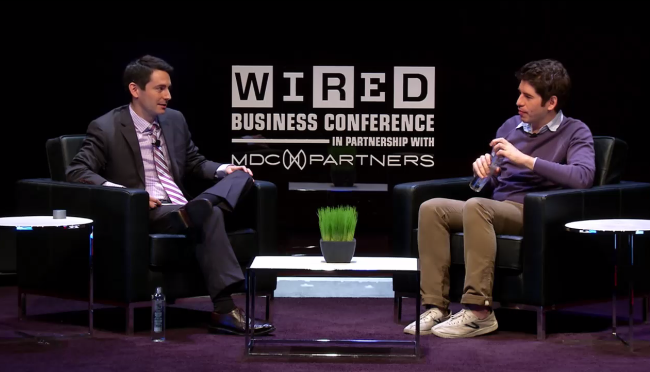 Yancey Strickler, the cofounder of Kickstarter, has announced at the Wired Business Conference that Kickstarter hit 2 million backers, 22,000 projects funded and $200 million pledged. We had previously estimated over $119 million raised and $6 million in commission. Now, with Kickstarter’s 5% commission, it looks like the startup has made as much as $10m over the past three years. When asked about the recent explosive growth, as we’ve witnessed in projects like the Pebble smartwatch, Strickler gives credit to the community for figuring out how to use the platform — something he says even Kickstarter wasn’t sure how to do. Strickler also announced that tech-related products make up only 5% of projects, despite the level of press these projects receive. More details came to light during the talk, including the state of film on the platform, which takes up the largest number of projects. Kickstarter’s funded films have been making waves lately, with 12 Kickstarter films in the Tribeca Film Festival this year. Strickler says 56% of projects don’t meet their goal, and only 5% of projects are turned down. This means 44% of accepted projects are successful. By doing the math (22k = 44%, X=56%), approximately 28,000 projects have failed, out of a total of 50,000 projects.